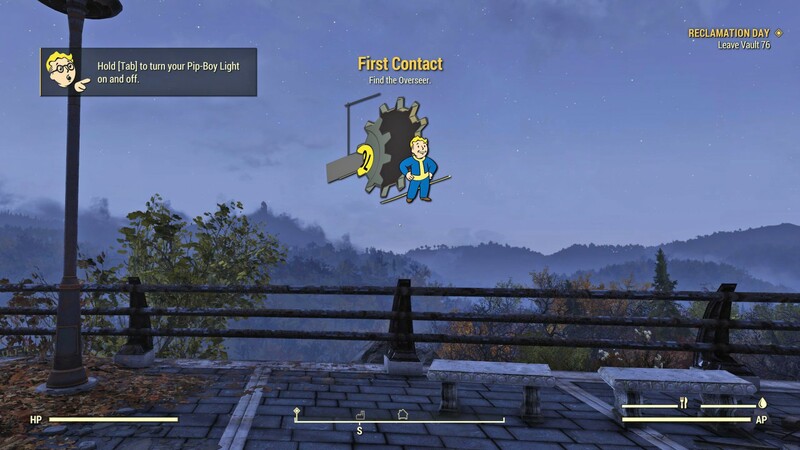 After you have completed the Reclamation Day quest in Fallout 76, you will automatically start the second mission, First Contact. 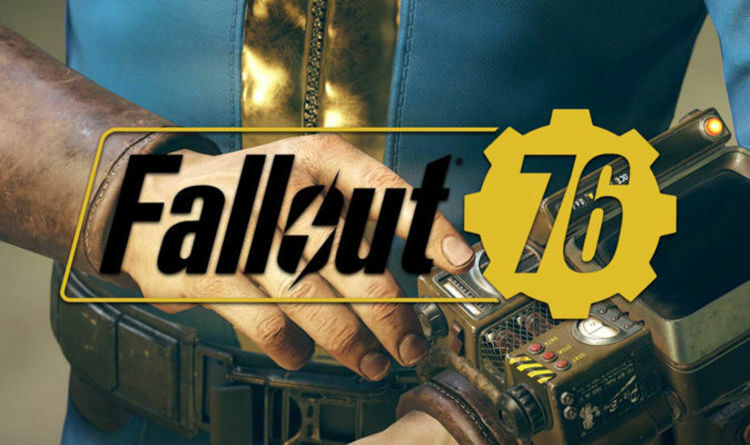 You will also receive the amount of XP and Caps which will depend on your player level, as well as other factors, such as miscellaneous objectives. 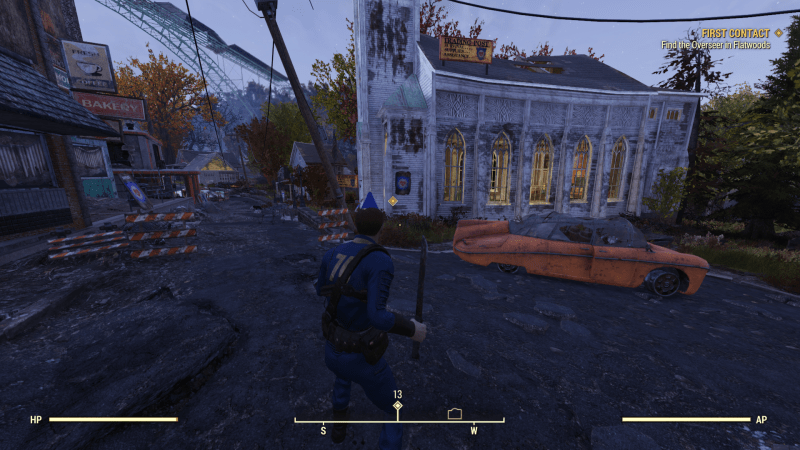 And here’s the guide and walkthrough for First Contact in Fallout 76. 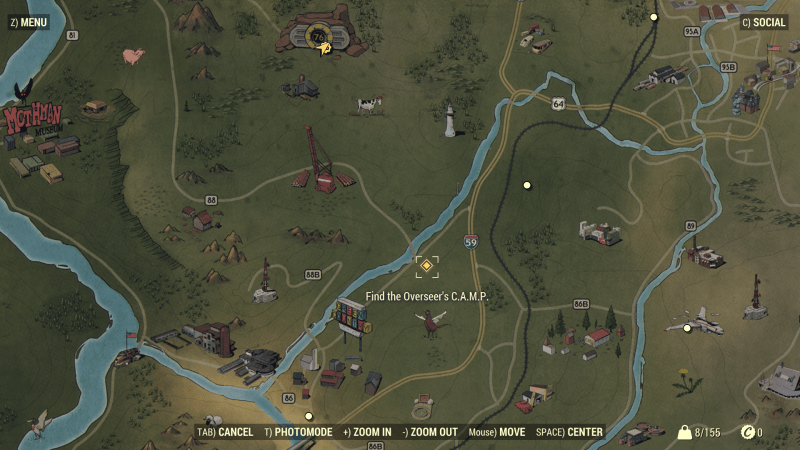 The first thing you have to do is to find the Overseer’s Camp, so keep walking southeast from Vault 76. 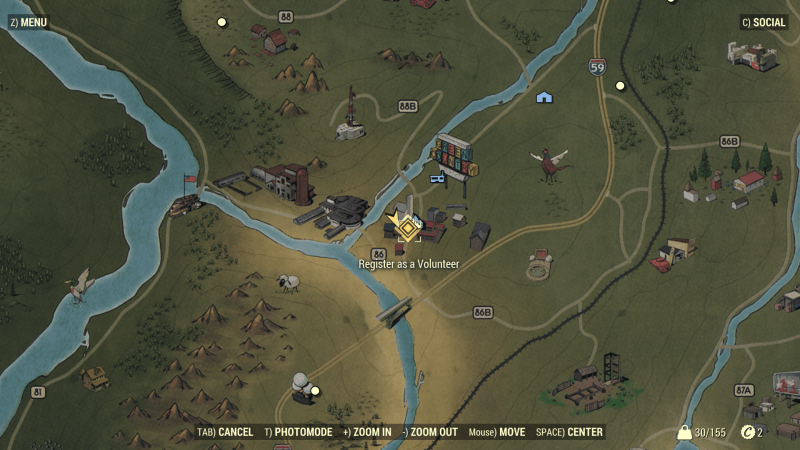 You can see the exact location of the place from the map below. 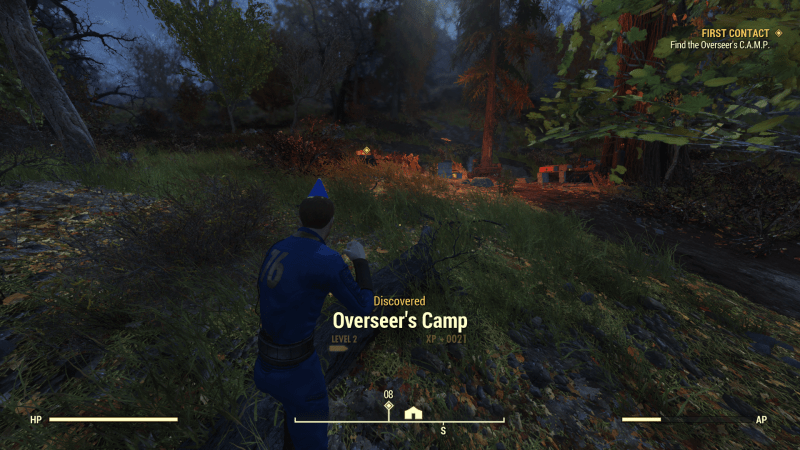 You will find the Overseer’s Camp as a small campsite in the forest. 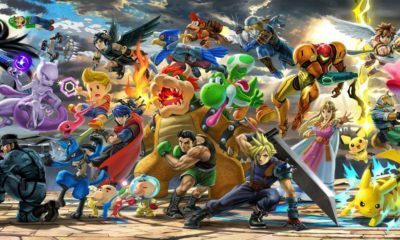 At the site, you should find some items, there are some crafting tables as well for you to craft weapons and armor, try to craft some weapons like simple melee weapons. 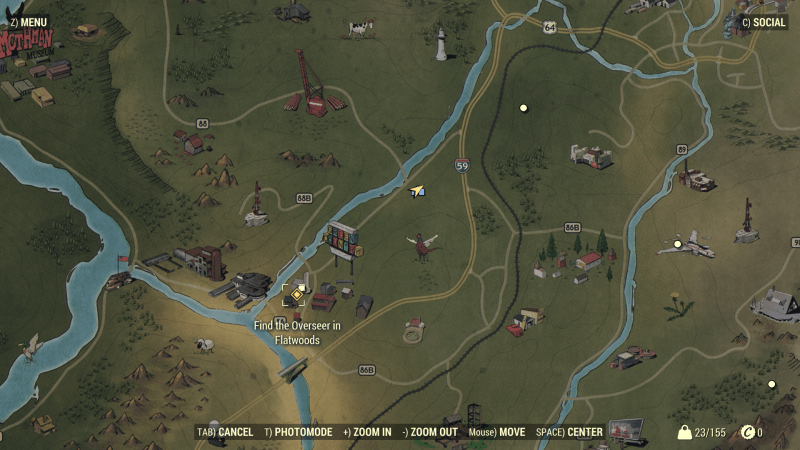 Once you’re done, get to the next location, go southwest to Flatwood and find another Overseer there. 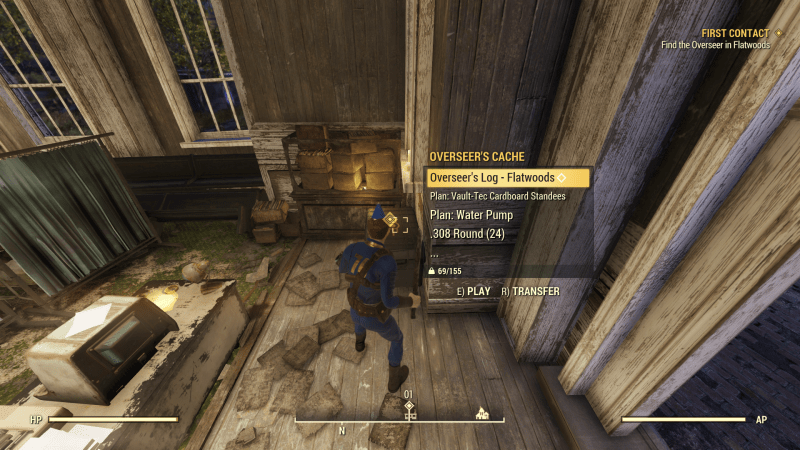 Inside the building like an abandoned church in Flatwoods, you should find a lot of items to loot. There may also be bugs to kill inside and out. 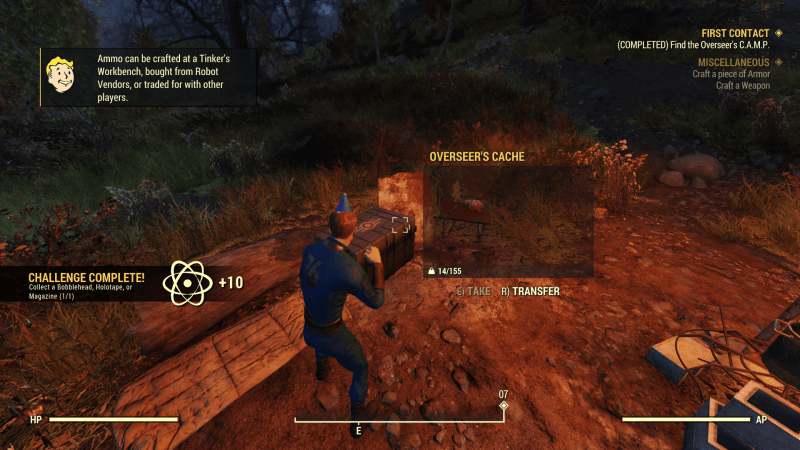 Loot whatever you can find especially if you’re still new, you will also come across a robot that trades items with you. Once you’ve done exploring the place, get out of the building and to the next building which require you to register yourself as a volunteer. 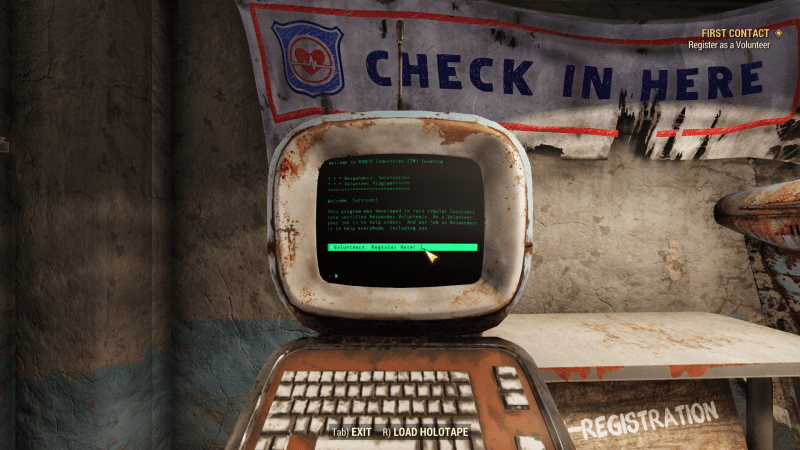 You will find a terminal inside the building, now register yourself as a volunteer using it.